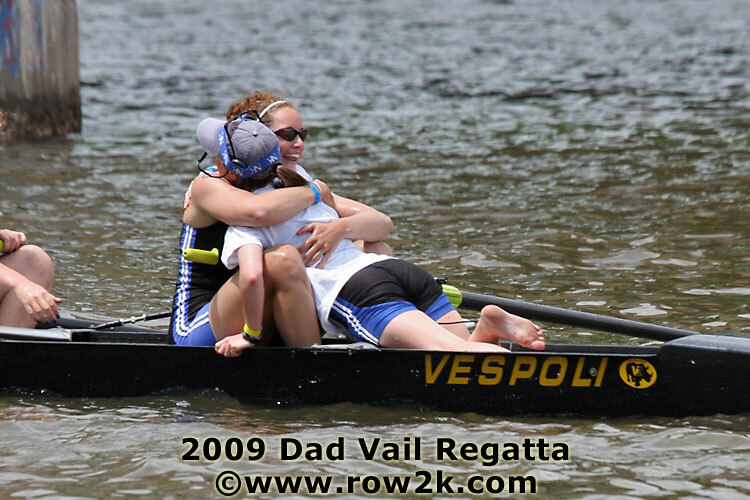 August 21, 2010: West Windsor, NJ—Grand Valley Rowing was well-represented last Saturday as two alumni raced in the A Finals at the prestigious USRowing National Selection Regatta #3, which served as a major step to making the 2010 World Championships. Ross Anderson, ’06, raced with William Cowles, Hamilton College ’09, in the Men’s Doubles A Final, finishing in 6th place. To even get there, they had to race three times: Thursday morning they placed 5th in the time trial, then raced again Thursday night and took 2nd in their heat, and finally took third in the semifinal Friday morning to qualify for the A Final. Sarah Zelenka, ’09, raced with Esther Lofgren and finished in 5th place in the Women’s Pair. They were 5th in the time trial on Thursday morning and then raced A Final Saturday. Both women won gold this summer rowing in the women’s 8 at the Lucerne World Cup regatta. Both rowers will be trying to race at the 2010 World Championships in New Zealand. Zelenka has already been invited to the women’s eight selection camp. Anderson will be racing at the world trials in October. The 2010 season is gone and passed for the Grand Valley Rowing team and this means some valuable resting time for most of the athletes. However, Jacob Bouwman decided to continue his rowing season and row at the prestigious Vesper Rowing Club in Philadelphia. His experience at Vesper led him to a gold medal at the 128th Annual Royal Canadian Henley Regatta in the Men’s under 23 Senior 8+. The Royal Canadian Henley is one of the largest regattas in the world, and to have achieved a gold medal is a compliment to the rowing capabilities of Jacob Bouwman, and the rowing skills gained through Grand Valley Rowing. Jake was sitting at 3 seat of his Vesper boat and came in at a blazing speed of 5:42. The Vesper boat was able to outmatch other extremely competitive boats including Penn AC and U.Vic. Grand Valley Navy Teamed Up with the Grand Haven Coast Guard at Coast Guard Festival! Several Grand Valley rowers represented their team this weekend at the Coast Guard Festival in Grand Haven. 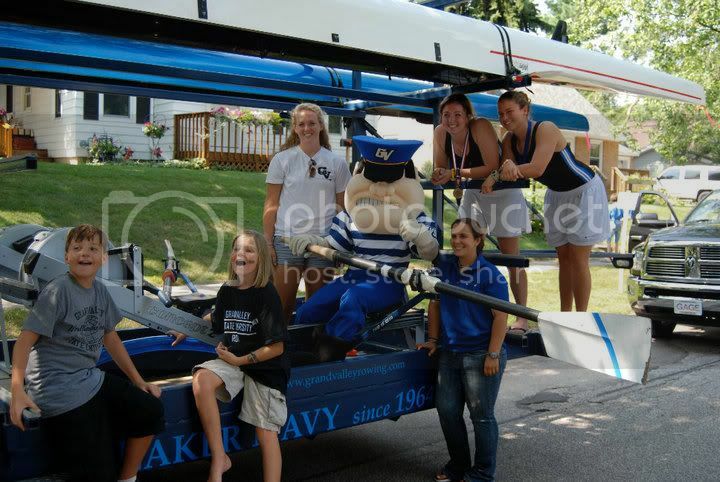 The rowers designed their own float, which involved loading a couple racing shells and ergs on the team trailer. As they circled the block in the parade, some rowers got off the trailer to hand out t-shirts and candy, while others demonstrated the rowing stroke with erg arms. These demonstrations were met with nearly nonstop applause, encouragement, and the occasional challenge to an arm wrestling match. The team even ran into a couple of GVSU rowing alumni along the way. Overall, the event was a great way for the team to represent and appreciate not only their program and teammates, but also the Coast Guard. Special thanks to Kirsten and Bart Bartles, Aly Mendels and family, and the Arnold family for making the parade possible!